Manhattan Lutherans began holding church services as early as 1914 when the Rev. M. K. C. Vetter, pastor of the Clark’s Creek Lutheran church, made regular trips here to conduct Lutheran Services. Services were held in the Seventh Day Adventist Church, Sixth and Laramie, until 1923. The first record of this congregation is a brief constitution, written in German, adopted on May 23, 1915. From 1915 to 1923 this constitution was signed by Gustav Ernst Geye, William J. Geye, Herman C. Geye, Herman F. Geye, C. R. Schmedemann, T. C. Maas, E. H. Geye, R. O. Yaege, P. E. Yaege, Walter H. Flagg, Herman J. Petrich, Max Engel, Freol Rasch, Charles Kniebel, William H. Heidel, J. H. Noenning, J. E. Erichsen, C. M. Schlicher, Ben A. Dittman, Howard H. Steup, William C. Walter, G. A. Falk, and Henry Wiese. In May, 1915, the Rev. Otto Hoyer, who was pastor of the Lutheran Church at Riley, Kansas, and served here as visiting pastor until 1917, signed the first congregational minutes. Thereafter, C. R. Schmedeman served many years as first secretary. The congregation had an early interest in Christian education as shown by reference in early church minutes to a special Christian Education Fund. The Rev. Herbert Petrich served here from 1917 to 1920 while he was a Lutheran Lutheran Chaplain at Fort Riley during World War 1. Under his direction the congregation was officially organized in 1918. On February 9, 1919, the congregation resolved to buy property for a church building at Fifth and Humboldt, but the $2750 offer was declined by the owners. On April 27, T. C. Maas and a Mr. Biltz were selected to look for another church site. A contractor was asked to estimate the cost of a church building 28’ wide, 48’ long, and 14’ high. The location at Sixth and Osage was purchased on April 28, 1920 with district assistance for $2100. The Rev. P. Stolp was chairman of the Kansas District Mission Committee and the Rev. C. F. Lehenbauer was president of the District at this time. In 1920, the Rev. Petrich accepted a call to Indiana. Prof. O. Knoll, Winfield; the Rev. Henry Scheperle, Jansen, Nebraska; and a Rev. Dau declined calls to serve Manhattan before the Rev. P. Kauffeld accepted on August 22. He served temporarily for three months while waiting for his passport to India as a missionary. On December 12 that year a call for pastor was issued to the Rev. Henry H. Frohn who accepted and was installed on February 20, 1921 as the first resident pastor of St. Luke’s. Up to April 3, 1921, the congregation functioned organizational-wise with an elected secretary and treasurer, and special elected committees. A resolution on this date brought an elected Board of Elders (3) with one secretary and one treasurer. First persons to hold these offices were W. Heidel, Richard Yaege, and F. Rasch, Board members: C. R. Schmedemann, secretary; Walter Flagg, treasurer; and Gus Geye was elected as the first chairman. Quarterly voters’ meetings replaced semi-annual meetings. Meanwhile, plans for a church building were in progress. On October 16, 1921, the congregation resolved to build a church 36’ wide, 54’ long, and 14’ high on the lot at Sixth and Osage. Building plans evolved in 1922. The building committee was C. R. Schmedemann, Richard Yaege, and Walter Flagg. The congregations accepted plans for a stucco-sided, frame church 30’x44’x16’ with a corner entrance, proportioned steeple, and Gothic-style ceiling and windows. The optimistic congregation had $137.59 in the building fund when they made this decision. The church was built in five months at a cost of $4760.50. Many hours of donated work by members made possible the completion and furnishing of the church. The altar, pulpit, baptismal font, as well as the pews were hand made by members of the congregation. Three services were held on Dedication Day, August 5, 1923, with three speakers—Pastors Herbert Petrich, M. K. C. Vetter, and Henry Frohn. There were 17 voting members and 48 communicants at this time. The first person baptized in this church was Lois Taylor on September 9, 1923. A Board of Trustees was initiated on April 1, 1923. A new constitution was adopted on October 7 and the congregation was incorporated January 31, 1924. It was accepted as a member of Synod on October 8, 1925. Early minutes show willing volunteers for special church jobs. For examples of willingness, we note the following: A Sunday School Teacher, Miss Schaff, wanted benches for the children and W. C. Walter made them and H. Petrich painted them. Walter Flagg voluntarily fired the church’s coal furnace for many years. A budget and envelope system was adopted in January, 1926, which is indicative of the early progressive spirit in the church. That year in April plans for a parsonage on the lot east of the church was initiated. Building committee members were Pastor Frohn, W. H. Flagg, William Grote, Fred Maas, and H. Petrich. The builder was Arthur Cordts and the cost was $4078. Excavation began on September 6, 1928 and the building was finished on November 15. The 10th Anniversary, commemorating the building of the church was observed on the first Sunday in August, 1933. The congregation expanded organization-wise, in the early 30’s. Youth groups were organized for college students and the young people of the congregation. The college organization was the Student Chapter of the Walther League and the local group was called the Gamma Club. Later the college group became Gamma Delta and the local group the Walther League. Young married couples in the church organized into the Fellowship Club in the middle 40’s. The Women’s Missionary League was organized in 1943 and the Men’s Club, a year later. April 2, 1944 was a day of achievement for the congregation. At that time the congregation became self-supporting and was no longer subsidized by the District. Pastor Frohn preached his farewell sermon on October 31, 1948, having accepted a call to Our Redeemer Lutheran Church at Elkader, Iowa. Under his direction the congregation had grown from a small mission to a church which numbered 220 souls, 179 communicants, and 30 voting members. On July 10, 1949, the Rev. Reuben J. Schmidt was installed as pastor of St. Luke’s. The Rev. A. E. Oldehoeft of Junction City had served as visiting pastor during the interim. The congregation has continued to grow. The Sunday school which has 21 pupils and three teachers at the dedication in 1923 now has 115 pupils, excluding Bible Classes, taught by 12 teachers. In May, 1950, a Vacation Bible School was initiated and has been conducted annually with increasing enrollment. In October, 1949, a resolution was made to have two Sunday morning worship services each week to accommodate the increasing number of worshipers. And at that same meeting, a Survey Committee was appointed to study past growth of congregation and survey future growth of the city, college, and congregation. Members chosen by the congregation were W. A. Wolgast, chairman, Elmer Frohn, William Baehr, Sr., Frank Werner, and Ralph Klein. On Thanksgiving Day, 1949, a Complete the Debt Payment Offering resulted in nearly $3000 and payed all past debts. Special services with the Mortgage Burning Ceremony were held on December 10, 1949. About this time, the Kansas District of the Lutheran Church-Missouri Synod, launched a District-wide Drive for $60,000 for better church and student facilities at Manhattan and Lawrence. St. Luke’s received a grant of $30,000 for a new church. The Survey Committee became a location committee May 14, 1950, and bought the Hamerle Tract at Sunset and N. Delaware for $12,050.00. A special fund raising committee—Alfred Suelter, chairman, Richard Schleusener, C. Wilson Pierce, Neil Schrum, and Fred Hoppert—planned a program for payment of the new location. A generous response by members of the congregation made possible the payment of the last dollar on the new church location fourteen months after date of purchase. On March 4, 1951, Ramey and Himes, architects of Wichita, were engaged by the congregation to design a new church plant and student center. The Building Committee was Fred Hoppert, chairman; William Baehr, Sr., secretary; and Walter A. Wolgast, Arthur Meyer, Alfred Suelter, Elmer Frohn, and Glenn Klimek. The special Building Finance Committee was Arthur W. Torluemke, Chris Burkhardt, August Havenstein, Frank Werner, Arnold Moeller, Oscar Albrecht, John Kohring, and Henry Prueter. Preliminary plans for the new church were approved by the congregation on September 22, 1951 and Groundbreaking Ceremonies were held April 20, 1952. Actual excavation began the latter part of May. Cornerstone Laying Services were held September 7, 1952, with the Rev. Walter A. Meyer, president of the Kansas District, preaching. Records of Official Acts performed in the Sixth and Osage Church show 386 infant and adult baptisms; 217 confirmations, 137 marriages, and 29 funerals. As St. Luke’s moves to larger quarters, the congregation numbers 300 communicant members; 420 souls; and 140 Lutheran students under its spiritual care. Records from 1924 to date indicate that the following men have served one or more years on the Board of Elders of the congregation: B. Dittmann, W. C. Walters, Richard Yaege, J. L. Erichsen, Albert Beichter, Fred Grater, A. Kaiser, Paul Yaege, John Gehrt, F. Reuter, G. Ukena, Henry Beichter, V. Theel, William Baehr, Sr., W. A. Wolgast, Bernard Hetzler, Charles Carney, August Havenstein, and Alfred Suelter. The Rev. Herbert Petrich, who preached at the dedication services of the church in 1923, delivered the Farewell sermon. Dedication Services at new House of Worship for St. Luke’s Church, at Sunset and North Delaware Avenues, was on April 19, 1953. Special guest speakers were the Rev. Elfred L. Roshcke, the Rev. Walter C. Birkner, and the Rev. George H. Weller. After seven years of effective leadership at St. Luke’s Rev. Schmidt left in 1956 to accept a position as Executive Secretary of the Eastern Iowa District. It was not until June 17, 1956, that the congregation was able to observe the installation of a successor in Rev. Robert H. Rosenkoetter. Among his early responsibilities was the arrangement for the annual appointment of a seminary intern or vicar, to substitute in some measure for the departure of Delbert Schulz. David Scaer was the first to serve in this capacity, from September, 1958, to August, 1959. 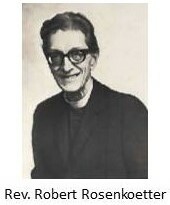 Dolores Seyfert was appointed to the position of deaconess in 1961. Her duties included teaching, secretarial services, and serving as organist and choir director. She continued in this capacity until 1963, when Mrs. Johanna Lobitz was asked to join the staff as full-time office secretary. The Congregation undertook another extensive building program a few years after Rev. Rosenkoetter’s arrival. The same architect who designed the church building had at the same time submitted preliminary plans for an educational unit. With the assistance of a local architect, William R. Eidson, the project was revived and carried to completion. The building, designed to harmonize with the site and the Church edifice, was dedicated on October 5, 1961. Rev. Reuben Schmidt was the guest speaker at both morning services. (The above information came from the “Farewell Service” worship folder. It was held on Sunday, April 12, 1953, at 8:45 AM and 11:00 AM. That service commemorated the founding, growth, and final worship services in the Sixth and Osage Church Building of SAINT LUKE’S LUTHERAN CHURCH in Manhattan, Kansas). In January 1978, the Reverend Robert Schaedel was installed as pastor of St. Luke’s. 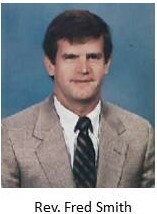 During his tenure, the congregation decided to call a Director of Christian Education (DCE); Dave Rahberg served from November 1980 until January 1991. In January 1992, Julie Korte was called as DCE and served as DCE and served until June 1996. The preschool for three and four-year-old children was started in 1981. This has proven to be an outreach to the entire community. Kathy Meyer served as the Preschool Director from 1995 to May 2013. B.A.S.I.C. Training (standing for Brothers and Sisters in Christ) began in 1987. This Wednesday night program served grades three through eight, but has since expanded to include the younger children beginning at 3 years old. In 1987, St. Luke’s began using DCE interns to assist with the campus ministry program. In 1990, it was decided to call an associate pastor instead of having DCE interns. The first associate pastor was the Reverend Frederick V. Smith who was installed in December 1990 and left to go to Germany in June 1992. In 1993, the congregation issued a call to the Reverend James Gau to serve as associate pastor with primary responsibility for Kansas State University students. When Pastor Schaedel accepted a call to Trinity in Salina in January 1996 and Pastor Gau resigned to move to Ohio with his family in March 1996, the Reverend Marvin Barz of St. Paul’s at Clark’s Creek served as vacancy pastor with the Reverend John Rath of Topeka assisting for Sunday services. 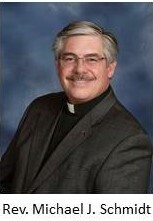 The congregation hired Paul Mabrey as Parish Administrator in September 1997, a position he held until May 2008. 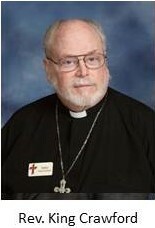 The Reverend Doctor Joseph Jones served as pastor of St. Luke’s from March 1998 till his retirement in July 2010. During 1999, the congregation began looking at plans for renovation and expansion of St. Luke’s facilities. The Reverend Carl Groh served as the Campus Missionary from July 1999 till January 2000, when he was released to serve a congregation in Arkansas. The Reverend Eric R. Wood served as the Campus Missionary from July 2000 till 2007. In December 2001, King Crawford was accepted by the congregation as a Volunteer Lay Deacon. In January 2002, the congregation purchased 28.16 acres of land ($176,400) that became available on West Anderson Avenue. Paul Johnson was installed as the DCE in July 2005, a position he held until April 2012, when he departed to serve a congregation in Texas. Gretchen (née Hendrickson) Hartsook has served as the Music Director since March 2009. Jean Olson began working as the Office Coordinator in December of 2009. Following the retirement of Pastor Jones in July 2010, the Reverend Jerry Radtke of Salina served as Interim Pastor from July 2010 until September 2011. The Reverend Michael J. Schmidt was installed on October 2, 2011. In July 2012, King Crawford was ordained and installed as the part-time pastor of two nearby parishes. He was also contracted with St. Luke’s to run the Campus Ministry program. Charity Olson was installed as the DCE in November 2012. She married Jesse Smith on April 1, 2016, and changed her name to Charity Smith. Paul Mabrey once again joined the St. Luke’s staff in 2012 as the part-time bookkeeper. He later moved to Florida in 2017. The Preschool was converted to an Early Learning Center in early 2015 under the leadership of Marie Kelley, the Director, who joined the staff in July 2013. After her departure, Laurie Powell first became the Interim Director in 2016, and later became the Director in the fall of 2017. In October of 2017, Trail Life USA Troop 0057 and American Heritage Girls Troop 0057 were started at St. Luke’s. We give all honor and praise to our Lord and Savior who continues to write the history of St. Luke’s. It is His story about His church.